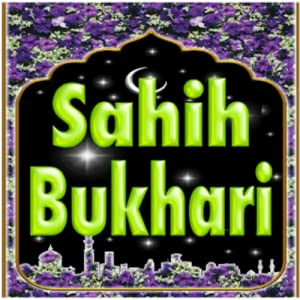 Hawari singkatan daripada perkataan Al-Hawariyyun, Bahasa Arab: الحواريون‎) merujuk kepada beberapa orang sahabat Nabi Isa a.s.
English – List of Hadith Books 1- Sahih Al-Bukhari translated by M. Muhsin Khan. 2- Sahih Muslim translated by Abdul Hamid Siddiqui. 3- Sunan Abu-Dawud translated by Prof. Ahmad Hasan. 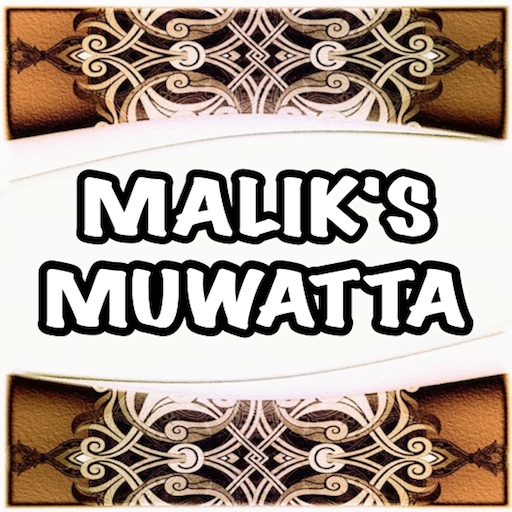 4- Malik’s Muwatta translated by Aisha Abdarahman at-Tarjumana and Yaqub Johnson. English – Sahih Bukhari Volume 008, Book 074, Hadith Number 246 – Volume 009, Book 093, Hadith Number 651. MAHLUK APA SIH SERBUIFF ITU ? LIHAT DI SINI…. Sahih Bukhari Volume 004, Book 051, Hadith Number 001. – Sahih Bukhari Volume 007, Book 062, Hadith Number 177. TULIS SAJA DISINI APA YANG INGIN ANDA KATAKAN …. walaupun orang-orang yang kafir tidak menyukai. My choice of Muhammad to lead the list of the world's most influential persons may surprise some readers and may be questioned by others, but he was the only man in history who was supremely successful on both the religious and secular levels. Of humble origins, Muhammad founded and promulgated one of the world's great religions, and became an immensely effective political leader. Today, thirteen centuries after his death, his influence is still powerful and pervasive. The majority of the persons in this book had the advantage of being born and raised in centers of civilization, highly cultured or politically pivotal nations. Muhammad, however, was born in the year 570, in the city of Mecca, in southern Arabia, at that time a backward area of the world, far from the centers of trade, art, and learning. Orphaned at age six, he was reared in modest surroundings. Islamic tradition tells us that he was illiterate. His economic position improved when, at age twenty-five, he married a wealthy widow. Nevertheless, as he approached forty, there was little outward indication that he was a remarkable person. Most Arabs at that time were pagans, who believed in many gods. There were, however, in Mecca, a small number of Jews and Christians; it was from them no doubt that Muhammad first learned of a single, omnipotent God who ruled the entire universe. When he was forty years old, Muhammad became convinced that this one true God (Allah) was speaking to him, and had chosen him to spread the true faith. For three years, Muhammad preached only to close friends and associates. Then, about 613, he began preaching in public. As he slowly gained converts, the Meccan authorities came to consider him a dangerous nuisance. In 622, fearing for his safety, Muhammad fled to Medina (a city some 200 miles north of Mecca), where he had been offered a position of considerable political power. This flight, called the Hegira, was the turning point of the Prophet's life. In Mecca, he had had few followers. In Medina, he had many more, and he soon acquired an influence that made him a virtual dictator. During the next few years, while Muhammad s following grew rapidly, a series of battles were fought between Medina and Mecca. This was ended in 630 with Muhammad's triumphant return to Mecca as conqueror. The remaining two and one-half years of his life witnessed the rapid conversion of the Arab tribes to the new religion. When Muhammad died, in 632, he was the effective ruler of all of southern Arabia. The Bedouin tribesmen of Arabia had a reputation as fierce warriors. But their number was small; and plagued by disunity and internecine warfare, they had been no match for the larger armies of the kingdoms in the settled agricultural areas to the north. However, unified by Muhammad for the first time in history, and inspired by their fervent belief in the one true God, these small Arab armies now embarked upon one of the most astonishing series of conquests in human history. To the northeast of Arabia lay the large Neo-Persian Empire of the Sassanids; to the northwest lay the Byzantine, or Eastern Roman Empire, centered in Constantinople. Numerically, the Arabs were no match for their opponents. On the field of battle, though, the inspired Arabs rapidly conquered all of Mesopotamia, Syria, and Palestine. By 642, Egypt had been wrested from the Byzantine Empire, while the Persian armies had been crushed at the key battles of Qadisiya in 637, and Nehavend in 642. But even these enormous conquests-which were made under the leadership of Muhammad's close friends and immediate successors, Abu Bakr and 'Umar ibn al-Khattab -did not mark the end of the Arab advance. By 711, the Arab armies had swept completely across North Africa to the Atlantic Ocean There they turned north and, crossing the Strait of Gibraltar, overwhelmed the Visigothic kingdom in Spain. For a while, it must have seemed that the Moslems would overwhelm all of Christian Europe. However, in 732, at the famous Battle of Tours, a Moslem army, which had advanced into the center of France, was at last defeated by the Franks. Nevertheless, in a scant century of fighting, these Bedouin tribesmen, inspired by the word of the Prophet, had carved out an empire stretching from the borders of India to the Atlantic Ocean-the largest empire that the world had yet seen. And everywhere that the armies conquered, large-scale conversion to the new faith eventually followed. Now, not all of these conquests proved permanent. The Persians, though they have remained faithful to the religion of the Prophet, have since regained their independence from the Arabs. And in Spain, more than seven centuries of warfare 5 finally resulted in the Christians reconquering the entire peninsula. However, Mesopotamia and Egypt, the two cradles of ancient civilization, have remained Arab, as has the entire coast of North Africa. The new religion, of course, continued to spread, in the intervening centuries, far beyond the borders of the original Moslem conquests. 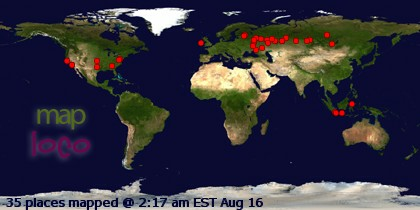 Currently it has tens of millions of adherents in Africa and Central Asia and even more in Pakistan and northern India, and in Indonesia. In Indonesia, the new faith has been a unifying factor. In the Indian subcontinent, however, the conflict between Moslems and Hindus is still a major obstacle to unity. How, then, is one to assess the overall impact of Muhammad on human history? Like all religions, Islam exerts an enormous influence upon the lives of its followers. It is for this reason that the founders of the world's great religions all figure prominently in this book . Since there are roughly twice as many Christians as Moslems in the world, it may initially seem strange that Muhammad has been ranked higher than Jesus. There are two principal reasons for that decision. First, Muhammad played a far more important role in the development of Islam than Jesus did in the development of Christianity. Although Jesus was responsible for the main ethical and moral precepts of Christianity (insofar as these differed from Judaism), St. Paul was the main developer of Christian theology, its principal proselytizer, and the author of a large portion of the New Testament. Muhammad, however, was responsible for both the theology of Islam and its main ethical and moral principles. In addition, he played the key role in proselytizing the new faith, and in establishing the religious practices of Islam. Moreover, he is the author of the Moslem holy scriptures, the Koran, a collection of certain of Muhammad's insights that he believed had been directly revealed to him by Allah. Most of these utterances were copied more or less faithfully during Muhammad's lifetime and were collected together in authoritative form not long after his death. The Koran therefore, closely represents Muhammad's ideas and teachings and to a considerable extent his exact words. No such detailed compilation of the teachings of Christ has survived. 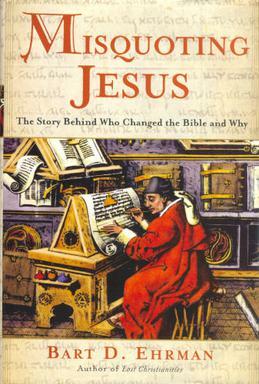 Since the Koran is at least as important to Moslems as the Bible is to Christians, the influence of Muhammed through the medium of the Koran has been enormous It is probable that the relative influence of Muhammad on Islam has been larger than the combined influence of Jesus Christ and St. Paul on Christianity. On the purely religious level, then, it seems likely that Muhammad has been as influential in human history as Jesus. Furthermore, Muhammad (unlike Jesus) was a secular as well as a religious leader. In fact, as the driving force behind the Arab conquests, he may well rank as the most influential political leader of all time. Of many important historical events, one might say that they were inevitable and would have occurred even without the particular political leader who guided them. For example, the South American colonies would probably have won their independence from Spain even if Simon Bolivar had never lived. But this cannot be said of the Arab conquests. Nothing similar had occurred before Muhammad, and there is no reason to believe that the conquests would have been achieved without him. The only comparable conquests in human history are those of the Mongols in the thirteenth century, which were primarily due to the influence of Genghis Khan. These conquests, however, though more extensive than those of the Arabs, did not prove permanent, and today the only areas occupied by the Mongols are those that they held prior to the time of Genghis Khan. It is far different with the conquests of the Arabs. From Iraq to Morocco, there extends a whole chain of Arab nations united not merely by their faith in Islam, but also by their Arabic language, history, and culture. The centrality of the Koran in the Moslem religion and the fact that it is written in Arabic have probably prevented the Arab language from breaking up into mutually unintelligible dialects, which might otherwise have occurred in the intervening thirteen centuries. Differences and divisions between these Arab states exist, of course, and they are considerable, but the partial disunity should not blind us to the important elements of unity that have continued to exist. For instance, neither Iran nor Indonesia, both oil-producing states and both Islamic in religion, joined in the oil embargo of the winter of 1973-74. It is no coincidence that all of the Arab states, and only the Arab states, participated in the embargo. We see, then, that the Arab conquests of the seventh century have continued to play an important role in human history, down to the present day. It is this unparalleled combination of secular and religious influence which I feel entitles Muhammad to be considered the most influential single figure in human history. "Saya Ingin Berurusan dengan Tuhan Secara Langsung !" Abdur Raheem Green: "Karena Saya Tak Percaya Tuhan Bisa Mati"
Allah Maha Pengampun & Penerima Taubat ??? Apa Hukum Mengirim TKW ke Luar Negeri Menurut Islam? Apakah Ahli Kitab Masih Ada Sampai Sekarang? Apakah Ajaran Islam Sudah Ada Semenjak Nabi Adam? Apakah Benar Mereka Ahlul Kitab ! Apanya Yang Disiksa? Jasadnya Atau Rohnya? Apasih Manfaat Dari Sunat ? Bagaimana Islam dan Kristen memperlakukan wanita haid ? Bagaimana para ilmuan tentang pengorbanan Yesus ? Bahasa Arab: الحواريون‎) merujuk kepada beberapa orang sahabat Nabi Isa a.s.
Benarkah Agama Para Nabi Tidak Semuanya Islam? berapa lama kala revolusinya ? Bukti Kebenaran Al-Quran surat Al Mukminun 12-14 : Dalam proses penciptaan manusia. Daftar perusahaan Denmark yg dapat anda BOIKOT !!! dan (juga mereka mempertuhankan) Al Masih putera Maryam; padahal mereka hanya disuruh menyembah Tuhan Yang Maha Esa; tidak ada Tuhan selain Dia. Maha Suci Allah dari apa yang mereka persekutukan.(QS. DENDA KARENA TERLAMBAT BAYAR UTANG BOLEHKAH? Dr. Antonius S Kumanireng : Apakah Yesus datang utk menebus dosa-dosa manusia ? dua-duanya sama sekali tidak patut mendapat gelar itu karena penolakan mereka untuk mengakui nabi Muhammad sebagai nabi terakhir yang menutup daftar para nabi. Film "The Lost Tomb Of Christ" Ungkap Keberadaan Isteri dan Anak Yesus? HEBAT !!! AL QURAN LEBIH TAHU DIBANDING ALKITAB YESUS WAKTU MASIH BALITA DAN LEBIH TAHU TENTANG KAKEK DAN NENEK YESUS…. jika kamu orang-orang yang benar. Jika Para Syuhada Tidak Mati di Manakah Arwah Mereka? Keajaiban Al Qur'an Situs ini didasarkan pada karya-karya Harun Yahya. Kebakaran terjadi di Masjid Ibrahimi pada saat Yahudi melakukan ritual "Talmud"
Keislaman Aipon Asso kepala suku lembah Baliem diikuti oleh 600 orang warganya di desa Walesi. Lebah Makan Buah ? dari perut lebah itu ke luar minuman (madu) ? Lebih Baik . . . . DIAM !!! Mau Tahu Perbedaan Sunni dan Syiah? Memuat 20 Butir Kabar Gembira Tentang Nabi Muhammad saw. Menangkis Hujatan Penginjil (1): Tuhan Pembenci dan Pendendam? Mengapa Al-Quran Turun Dengan Bahasa Arab Dan Bukan Dengan Bahasa Yang Lain? MENJAWAB FITNAH : BENARKAH NABI MUHAMMAD MENINGGAL KARENA DIRACUN ? Menjawab Gugatan Forum Murtadin Kafirun: Al-Qur'an atau Bibel Pemicu KDRT? mohon maaf lahir dan bathin. MUHAMMAD DALAM PERJANJIAN LAMA !!! Negeri dengan 20 Juta Kriminal! niscaya dia akan melihat (balasan) nya pula. sahabat Rasulullah SAW.penulis wahyu dan surat-surat Rasulullah SAW. SIAPA BILANG YESUS MATI DITIANG SALIB….?? tak sedikit kaum Nasrani yang masuk Islam lantaran tidak mendapatkan solusi pada agama Nasrani. Tuduhan adanya dilema pemakaian hadits (urin onta). YESUS MENUBUATKAN KEDATANGAN NABI MUHAMMAD S.A.W. Di dalam syariat yang dibawa oleh Rasulullah Saw, perintah dan larangan selalu ada dan terus berjalan kepada setiap hamba selama ruh masih bersama jasadnya. Dan selama itu pula manusia dapat menambah kedekatannya kepada Allah swt dengan melakukan perintah-perintah syariat yang mulia. Baik yang berupa kewajiban maupun yang sunnah. Bahkan dalam hadits qudsi Allah menyatakan bahwa Dia sangat cinta kepada hamba yang suka menjalankan amal-amal sunnah, sehingga manakala Dia telah mencintai hamba tersebut, Dia akan menjaga matanya, pendengarannya, tangan dan kakinya. Semua anggota tubuhnya akan terjaga dari maksiat dan pelanggaran. Sebagaimana diriwayatkan oleh Imam Al Bukhori dari Abu Hurairah RA. Dari sekian banyak sunnah yang telah diajarkan oleh Rasulullah SAW adalah melakukan qurban, yaitu menyembelih binatang ternak, berupa onta, atau sapi(lembu) atau kambing dengan syarat dan waktu yang tertentu. Bahkan kesunnahan berqurban ini adalah sunnah muakkadah, artinya kesunnahan yang sangat ditekankan dan dianjurkan. Tapi hendaknya kita mengetahui bahwa kesunnahan kurban adalah untuk umat Nabi Muhammad saw, sedang bagi beliau justru adalah sebagai kewajiban, ini termasuk sekian banyak kekhususan yang diberikan oleh Allah kepada Rasulullah saw. Pengertian qurban secara terminologi syara’ tidak ada perbedaan, yaitu hewan yang khusus disembelih pada saat Hari Raya Qurban (’Idul Al-Adha 10 Dzul Hijjah) dan hari-hari tasyriq (11,12, dan 13 Dzul Hijjah) sebagai upaya untuk mendekatkan diri (taqarrub) kepada Allah SWT. Dalam Islam qurban disyariatkan pada tahun kedua Hijriah. Saat itu Rasulullah keluar menuju masjid untuk melaksanakan shalat ‘Idul Adha dan membaca khutbah `Id. Setelah itu beliau berqurban dua ekor kambing yang bertanduk dan berbulu putih. Tradisi qurban sebetulnya telah menjadi kebiasaan umat-umat terdahulu, hanya saja prosesi dan ketentuannya tidak sama persis dengan yang ada dalam syariat Rasulullah. Allah SWT befirman, “Bagi tiap-tiap umat telah Kami tetapkan syariat tertentu yang mereka lakukan, maka janganlah sekali-kali mereka membantah kamu (Muhammad) dalam urusan syariat ini. Dan serulah kepada agama Tuhanmu, sesungguhnya kamu benar-benar berada pada jalan yang lurus” (QS AI-Haj: 67). Bahkan qurban telah menjadi salah satu ritus dalam sejarah pertama manusia. Seperti dikisahkan dengan jelas dalam AI-Quran surah Al-Maidah ayat 27 mengenai prosesi qurban yang dilakukan oleh kedua putra Nabi Adam AS, qurban diselenggarakan tiada lain sebagai refleksi syukur hamba atas segala nikmat yang dianugerahkan Tuhannya, di samping sebagai upaya taqarrub ke hadirat-Nya. Allah SWT berfirman, “Maka dirikanlah shalat karena Tuhanmu dan sembelihlah” (QS Al-Kautsar: 1-2). Mayoritas ulama berpendapat bahwa yang dimaksud dengan shalat di sini adalah shalat hari `Idul Adha, sedangkan yang dimaksud dengan menyembelih adalah menyembelih hewan qurban. “ Al Udhiyah (binatang kurban), bagi pemiliknya (yang berkurban) akan diberi pahala setiap satu rambut binatang itu satu kebaikan “. “ Wahai Fathimah, bangkitlah dan saksikan penyembelihan binatang kurbanmu, sungguh bagimu pada awal tetesan darah binatang itu sebagai pengampunan untuk setiap dosa, ketahuilah kelak dia akan didatangkan (di hari akhirat) dengan daging dan darahnya dan diletakkan diatas timbangan kebaikanmu 70 kali lipat “. Dari Anas RA, ia berkata, “Nabi SAW mengurbankan dua ekor kambing yang putih-putih dan bertanduk. Keduanya disembelih dengan kedua tangan beliau yang mulia setelah dibacakan bismillah dan takbir, dan beliau meletakkan kakinya yang berbarakah di atas kedua kambing tersebut:’ (HR Muslim). Rasulullah SAW bersabda (yang artinya), “Perbesarlah qurban-qurban kalian, sebab qurban itu akan menjadi kendaraan-kendaraan dalam melewati jembatan AshShirat menuju surga” (HR Ibnu Rif’ah). Dalam satu riwayat disebutkan, Nabi Dawud AS pernah bertanya kepada Allah SWT tentang pahala qurban yang diperoleh umat Nabi Muhammad SAW. Sayyidina Ali RA berkata, “Apabila seorang hamba telah berqurban, setiap tetesan darah qurban itu akan menjadi penebus dosanya di dunia dan setiap rambut dari qurban itu tercatat sebagai satu kebajikan baginya”. Pertama, untuk mengenang nikmat-nikmat yang diberikan Allah kepada Nabi Ibrahim dengan digagalkannya penyembelihan putranya, Ismail AS, yang ditebus dengan seekor kambing dari surga. Ketiga, untuk memperbanyak rizqi bagi orang yang berqurban, karena setiap hamba yang menafkahkan hartanya di jalan Allah akan mendapatkan balasan berlipat ganda. Dalam Islam, qurban tidak sekadar memiliki dimensi religius, yang menghu bungkan makhluk dengan Allah, Pencipta alam semesta. Qurban bukan sekadar ritus penyembelihan binatang dan aktivitas membagikan daging hewan kepada mereka yang tidak mampu. la pun memiliki dimensi sosial. Qurban juga memiliki akar sejarah yang demikian kuat dan memiliki posisi vital di tengah-tengah masyarakat. Berhubungan dengan sejarah qurban seperti yang umum diketahui oleh umat Islam tentang awalnya syariat qurban diturunkan, ada satu kisah yang menarik dari Rasulullah sehingga beliau menyatakan dirinya sebagai anak dua sembelihan. Kisahnya ketika Abdullah bin Abdul Muthalib belum dilahirkan. Ayahnya, Abdul Muthalib, pernah bernazar bahwa, jika anaknya laki-laki sudah berjumlah sepuluh orang, salah seorang di antara mereka akan dijadikan qurban. Setelah istri Abdul Muthalib melahirkan lagi anak laki-laki, genaplah anak laki-lakinya sepuluh orang. Anak laki-laki yang kesepuluh itu tidaklah diberi nama dengan nama-nama yang biasa, tapi diberi nama dengan nama yang arti dan maksudnya berlainan sekali, yaitu dengan nama “Abdullah”, yang artinya “hamba Allah”. Selanjutnya setelah Abdullah berumur beberapa tahun, ayahnya, Abdul Muthalib, belum juga menyempurnakan nazarnya. Pada suatu hari dia mendapat tanda-tanda yang tidak tersangkasangka datangnya yang menyuruhnya supaya menyempurnakan nazarnya. Oleh sebab itu bulatlah keinginannya agar salah seorang di antara anak laki-lakinya dijadikan qurban dengan cara disembelih. Sebelum pengurbanan itu dilaksanakan, dia lebih dulu mengumpulkan semua anak laki-lakinya dan mengadakan undian. Pada saat itu undian jatuh pada diri Abdullah, padahal Abdullah adalah anak yang paling muda, yang paling bagus wajahnya dan yang paling disayangi dan dicintai. Tetapi apa boleh buat, kenyataannya undian jatuh padanya, dan itu harus dilaksanakan. Seketika tersiar kabar di seluruh kota Makkah bahwa Abdul Mutthalib hendak mengurbankan anaknya yang paling muda. Maka datanglah seorang kepala agama, penjaga Ka’bah, menemui Abdul Mutthalib, untuk menghalang-halangi apa yang akan diperbuat Abdul Mutthalib. Kepala agama itu memperingatkan untuk tidak melakukan perbuatan tersebut. Jika hal itu sampai dilaksanakan, sudah tentu kelak akan dicontoh oleh orang banyak, karena Abdul Muthalib adalah seorang wali negeri pada masa itu dan dia mempunyai pengaruh yang sangat besar di kota Makkah. Oleh sebab itu, apa yang akan dilakukannya tentu akan jadi panutan bagi warga lain. Si pemuka agama ini mengusulkan agar nazar tersebut diganti saja dengan menyembelih seratus ekor unta. Berhubung kepala agama penjaga Masjidil Haram telah memperkenankan bahwa nazar Abdul Muthalib cukup ditebus dengan seratus ekor unta, disembelihlah oleh Abdul Muthallib seratus ekor unta di muka Ka’bah. Dengan demikian Abdullah urung jadi qurban. Karena peristiwa itu pada waktu Nabi SAW telah beberapa tahun lamanya menjadi utusan Allah, Rasulullah pernah bersabda (yang artinya), “Aku anak laki-laki dari dua orang yang disembelih.” Maksud Rasulullah, beliau adalah keturunan dari Nabi Ismail AS, yang juga akan disembelih tapi lalu diganti Allah dengan kibas, dan anak Abdullah, yang juga akan disembelih tapi kemudian diganti dengan seratus ekor unta.